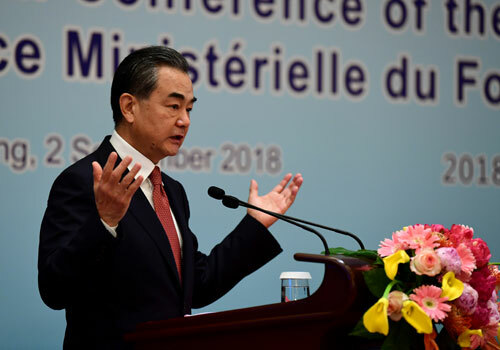 On September 2, 2018, State Councilor and Foreign Minister Wang Yi announced at the 7th Ministerial Conference of the Forum on China-Africa Cooperation (FOCAC) that three new members, namely, Gambia, Sao Tome and Principe, and Burkina Faso have joined the big family of the FOCAC at the Beijing Summit and the Ministerial Meeting. Wang Yi noted that the joining of these three countries has further enhanced the strength of the Forum and China-Africa friendship, injecting new impetus into China-Africa cooperation. The representatives present at the conference warmly welcomed three countries to join the big family of China-Africa cooperation.